This took too long to write, I never wanted to have to write about this, but sad important things need to be documented. I was scrolling through my twitter feed when I read a tweet ”RIP Kessie” I was in so much shock that I decided to switch apps and send Kessie a message on Whats App and I was hopeful it was a dream when I saw the two tick sign beside the message I sent, praying that the tweet was a crude joke. I returned to my twitter feed hoping the tweet would be gone but instead I saw more tweets confirming my worst fears. So I dropped my phone and made a wish that somehow Kessie would reply my text. I spent the next couple of hours in denial, wishing that she was alive and hoping for one last sarcastic comment. My wishing this away didn’t bring my friend back and I have kind of come to terms with it. I love letters, writing letters, receiving letters. 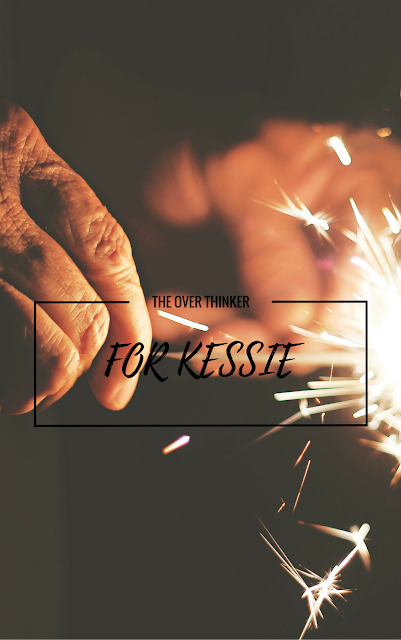 So I have written a letter to Kessie of all the things I want to say to her and I am choosing to deal with this by living in the memories I have of her and when those fade I will imagine sharing new adventures with you Kessie and always find ways to keep you alive in my heart. Rest well and be sure you would never be forgotten. Here are a few things I remember about you, you made me laugh about the silliest things, you didn’t take life or yourself too seriously always making jokes about yourself. You are one of the best storyteller I know, I always wonder how you did it, all of us will go silent in the room whenever you launch into one of your stories. Less I forget you are definitely the first sarcastic person I met it was second nature with you, it was always a struggle to tell when you were being serious. Keesie here are a list of things I am sorry for, we tried to keep in touch after secondary school with sending messages back and forth on Facebook but, this didn’t last, relationships need physical meetings as we couldn’t find time for that. By the time Instant Messaging became easy, we had drifted too far to exist in each other’s virtual world so we stuck to the occasional catch up chats on Facebook. I ran into you in March we exchanged phone number and promised to have a catch up lunch but, we never got round to it. I told myself in the following months that we had our lives ahead for us and no need to rush setting a date for our lunch. I am sorry I didn’t push hard enough for our lunch date, sorry we didn’t do a better job of staying in each other’s life, if I had know you didn’t have time, I would have met up with you every weekend, create new memories. Most of all I am sorry I don’t get a do over. I am not ready to go through the stages of grief, so I choose instead to live in the memories I have of you, of always going late to the dining hall our last year of secondary school, of late night conversations and drinking garri. We were in our 5th year of Secondary School when I still thought I could write poems and my writing was sacred. I was writing in my journal during long break, pencil in one hand gala in another, you walked up to my table and said ‘’you be wasting time writing about that boy that left you, Ore he already moved on find another fish even if it is one with it’s eyes missing.’’ I immediately started laughing.